In addition to traditional therapy, I specialize in CBT (Cognitive Behavioral Therapy), EMDR (Eye Movement Development and Reprocessing) therapy, and Anger Management. EMDR is a highly effective treatment for many kinds of psychological distress, particularly those related to acute trauma. It is based on the idea that when we suffer a particularly distressing event, our normal coping mechanisms are not equipped to make sense of what has happened to us. As a result, these traumas are never completely processed, and they continue to cause us stress and emotional hardship. 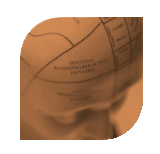 EMDR aims to identify unprocessed traumas and engage the sufferer’s natural cognitive abilities to finally process them. CBT is one of the most widely-used and proven types of psychotherapeutic treatments. The goal of CBT is to help the client gain a better understanding of the thoughts and behaviors that influence their emotions and behaviors. Over the course of treatment, I teach my clients to identify problematic thought patterns and behavioral responses and help them alter both the patterns themselves and the way they perceive/respond to them. Are you feeling listened to? Do you feel safe sharing information with the therapist? Is the therapist helping you take steps forward? If you find that the answer to any of these questions is no, I would very much like for you to let me know so that we may properly address any of your concerns. The human brain is naturally equipped to cope with difficult happenings. Most of the time, the complex mechanisms of our mind are able to fully process these events and encode them as a narrative memory, as something that once happened but has since passed. EMDR is based on the idea that sometimes an event is so frightening, so traumatic, that our regular coping mechanisms are incapable of completely processing and storing the memories. Instead, they are stored as a motoric memory, meaning that the negative feelings and physical sensations experienced during the actual trauma can be reexperienced. Through my practice of EMDR, I hope to help my clients fully process and appropriately store these memories. It is a particularly useful therapy for those who find it difficult to share their painful memories, as the client does not need to be specific about their trauma. All I need to help them is acknowledgment of a specific traumatic event and honesty regarding how they feel in response to the treatment. Once the trauma has been identified, I lead my clients through a series of eye movements and mental changes of focus, redirecting their attention away from negative thoughts and onto a more positive one. Once the belief in the more positive thought has been reinforced, I direct my clients to recall the traumatic event and scan their body for any physical tensions that come about as a result. If there are, we target them for further processing. Cognitive Behavioral therapy, or CBT, is one of the most-used modalities by therapists and psychologists to illicit positive change. The overall goal of CBT is to replace negative thoughts or schemas and replace them with positive thoughts. We all have negative thoughts or schemas that we have developed throughout the years, which can have tremendous effects on our feelings and daily lives. By replacing our automatic negative thoughts or schemas, we can change our behavior and our general outlook on life for the better. CBT is used for variety of diagnoses such as, but not limited to: depression, anxiety, OCD, PTSD, and anger management. I use CBT extensively in my private practice and the results are very promising. We all feel angry sometimes. Some of us feel it only occasionally, while for others it’s just a regular occurrence. Not only is there nothing wrong with this, I would go so far as to say that allowing yourself to feel anger is a healthy practice, so long as you know how to express it in a productive way. Unfortunately, many people find themselves so unable to temper their anger that it gains undue control over their lives. You may find yourself spiraling into fits of uncontrollable anger with only the tiniest provocations. Not everyone experiences anger the same way, and yours may be more muted, manifesting itself as chronic irritability and a tendency to withdraw from social situations. Excessive, persistent anger can damage relationships and leave you feeling isolated. Worse yet, people with anger issues sometimes pin the blame on themselves, leading to feelings of guilt. They may believe that they will never have control over themselves, and that they are just one big unfixable problem. With Anger Management, I hope to show those of you who struggle to control your anger that you are not the problem. You have a problem, and with your time and practice, you can better control your feelings, learn to express yourself more productively, and take your life back from those uncontrollable feelings. Worry, sadness, and even numbness are perfectly healthy and natural emotions. When you find yourself feeling one or all of these regularly, however, you may be suffering from an anxiety or depression disorder. My treatment for anxiety and depression is based on Cognitive Behavioral Therapy (CBT) principles described above. It begins with a simple premise: a problematic thought pattern, manifesting itself as anxiety and/or depression, is responsible for the way you feel. While suffering, you will almost certainly not feel this way. You may feel that you are to blame, or that some permanent, unchanging factor in the world will keep you feeling this way forever. My job is to help you identify the thought pattern that leads you to these feelings, and once it is found, guide you through a process by which you will restructure it in a way that will lead you to respond more positively and productively. I hope to show you that you are in control of your feelings, and that with practice, you can take hold of them and move forward in life with a clear mind. While I primarily employ CBT for these treatments, I also sometimes use EMDR. It’s never easy to ask for help. For many, asking for help is admitting the presence of a problem that they would rather not exist in the first place. Asking for help as a couple is often even harder. Not only are you admitting that you have a problem in your relationship, you’re bringing in an outsider to look at some of your life’s most intimate details. The idea of it understandably causes some discomfort. I want to tell you that there is no need to feel this way. Coming in for couples therapy is no different than coming in for individual therapy. You have a problem and you need a pair of trained, non-judgmental outside eyes to take a good look and help you realize the solution. Like any other issue you bring to me, I believe that with some time and some work, it is possible to get you and your partner back on track to a happier and more productive life.